Small ants are all over the house, but mainly in the kitchen. The problem I have a concern about is that I have indoor pets. What is the best way to handle this problem? Thank you for your question Tinkie. I sympathize with homeowners that have indoor pets and run into pest control problems. 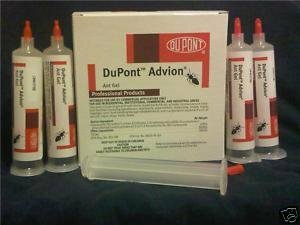 There is always concern and anxiety when trying to find out the best way to get rid of the ants while keeping your pets safe and healthy at the same time. In the past 10 years, much research has been done into pesticide safety for humans and pets. The results are still trickling out. I am yet to find very accurate data on the long term effects of continuous exposure to ant related killers. I would say that proceeding with caution is always the best thing to do. 2). Be careful of gels: Dogs and Cats are curious. I have heard stories of, but never seen myself, pets licking the sweet gel after its kitchen application. This is obviously not safe. Although probably not a deadly curiosity, it is enough to make any pet sick. 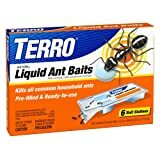 So, even though I recommend ant gel as the most effective means of clearing kitchen ants, I would probably not recommend it as the first line of defense when indoor pets are around. 3). Quarantine your Pets: I always recommended to every homeowner that they quarantine their dogs for at least 24 hours after the pest control application. 4). Check your placement: Whenever indoor pets were involved with indoor ants, we always worked with the homeowner to determine locations to put ant stations where the pets would never be or not be able to reach. Inside cupboards, on top of appliances, or in other places where the ants could find the bate station but your pet would not be able to. 5). Contact a Professional: Don’t be afraid to contact a local professional pest control company to help alleviate your concerns. It is somewhat of a daunting task for a homeowner and pet lover to research products that are safe and effective. If your anxiety levels are too high, or you don’t have the time to consider all of the consequences yourself, you may be better off hiring a local licensed professional pest control company to help. We hope you find success in getting rid of your ants and keeping your pets safe.